Translation Quality Assurance Check: How Does It Work? How to measure the translation quality? In fact, there is no single definition regarding what makes a high-quality translation. Many linguists will agree that a high-quality translation at least meets – if not exceeds – the expectations of the client or target audience, but it’s very clear that high-translation quality heavily relies on adaptation to cultural context and the presence of the so-called native feel. However, it may not be as simple as that. A high-quality translation will also involve dedicated manual work from a human translator and proofreader so that the translated text is accurately translated and grammatically correct in the target language as well. So, how do you ensure that your translation quality is excellent, and is there a way to measure it with Translation Quality Assurance check? To find out, keep on reading. Pay attention to these 3 steps of the translation process in order to obtain the highest quality translation. The translator should preferably be a native speaker of the language of the target audience with the experience of the subject matter of the content that is being translated. Depending on the number of words in a single project, consider hiring multiple translators for a shorter turnaround time. The proofreader will check for grammatical or context errors and will edit the translated segments accordingly. The proofreader is usually also a professional translator educated and experienced in the subject matter of the content for translation. We get it – if you have the best translators and proofreaders working on the project, you want the final check to be a formality. But believe us, with the right tools, it can be done both thoroughly and quickly. In the ideal process of final check, a translator or proofreader checks the final version of the translated files and makes sure that nothing is missing. This is done using the Translation Quality Assurance check, simply known as the QA check, which is available both in Text United’s web and desktop apps. How does the Translation Quality Assurance check work? 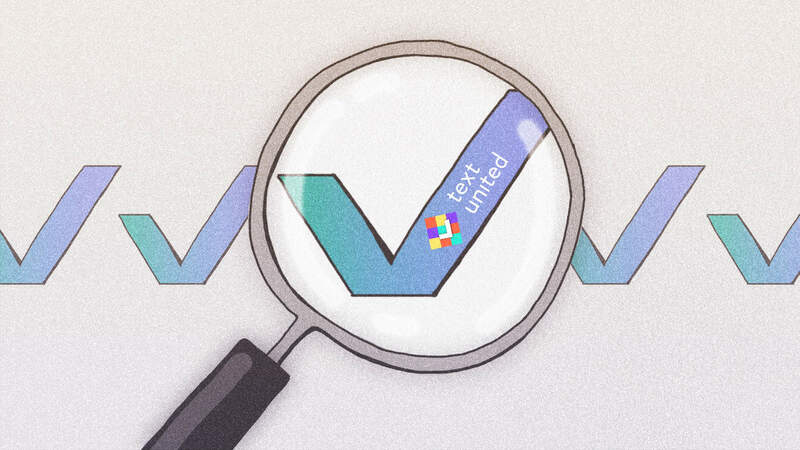 Translation Quality Assurance check from Text United automatically recognizes potential errors in the target segment. These include numeric mismatches between the source and target segments, double spaces, and different spaces at the end or beginning of a segment, or tag related errors. For each of these, there will be an error message shown at the end of the segment. 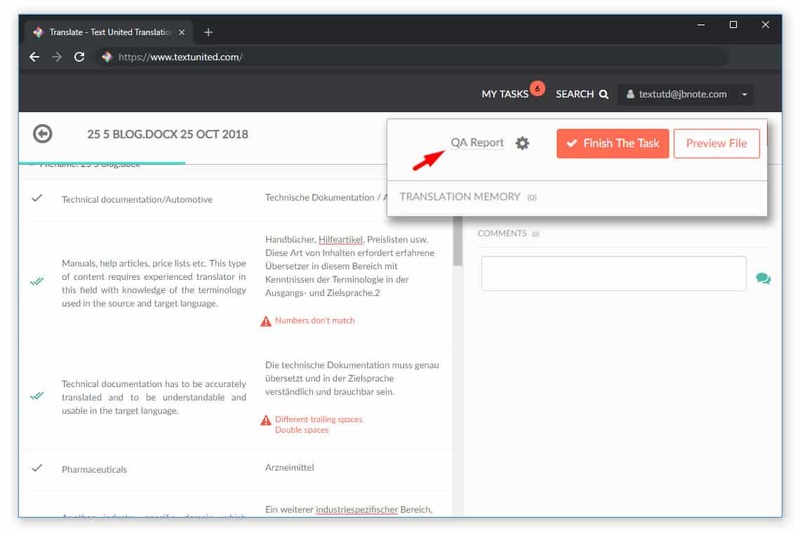 The translation consistency warning will show if similar or identical segments were translated differently, and a list of those segments will be generated in the QA report. The QA report will show if the translator used rejected terminology or if they used terminology proposals at all in a particular segment. Remember that using the right terminology is crucial for a consistent and high-quality translation results. Aim for an excellent quality translation!